I have been trying to go biking at least once every weekend. Venice Beach is the best experience so far, but parking is expensive ($14 on the weekend in the summer!). 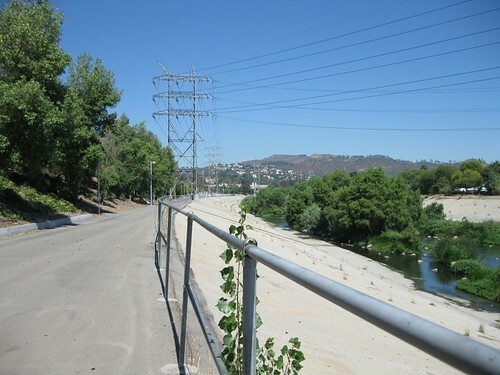 Today I tried the bike path the runs along the L.A. River. I started from the John Ferraro Athletic Field located near the L.A. Zoo. Going north on the 5 freeway, get off at Zoo Drive, but instead of turning right to go to the zoo, turn left. There is a free parking lot right across from the gate to the bike path. Note the power lines, which are above the path most of the way. There were numerous other bikers, although the path was not crowded. I got there about 10:00 am. I think that it would have been better earlier. Not a bad ride at all. It’s cheaper and more convenient than Venice Beach or Santa Monica. 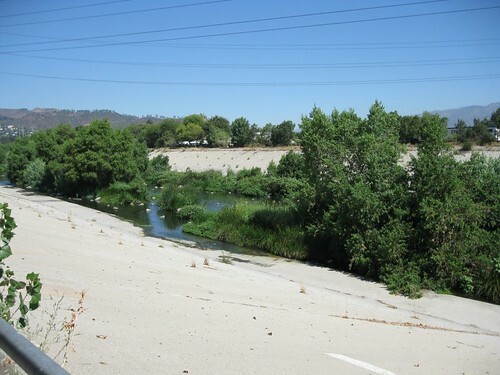 I’ll probably try it again, but I will try Puddingstone Reservoir first. 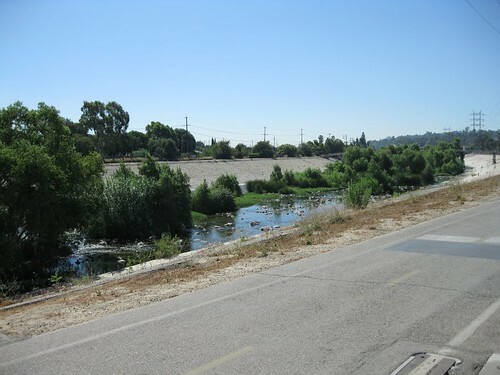 This entry was posted in Bicycles and tagged L.A. Bikepath. Bookmark the permalink.